I was born and raised in Margate NJ, down the island from Atlantic City, NJ. I was very fortunate that my family loved to ski and we came out to Vail and had many wonderful family vacations. I moved to Vail in 1986 and was a nurse in the Vail hospital. I married my husband Scott who is a Littleton native in 1989 and we have 2 wonderful children Zoe and Adam. We moved to Parker in 2002 and I started selling real estate in 2004. I also became a mortgage broker in 2006 and have completed all the education and certification needed to be a licensed LO in Colorado ( NMLS# 276233, Co Lic # LMB100009340). I started my real estate career when Colorado's housing market started to decline. I have been blessed that each year has been a record year for me and I continue to grow my buisness thru referrals and repeat customers. I love real estate and look forward to meeting many more people who I can help to find their dream home. Being a realtor with many years in Colorado I bring a lot of knowledge about the local market. I have been helping people find their dream homes since 2004 and enjoy it greatly. Real Estate is a constantly changing arena and I have many designations which have helped me stay on top of the ever changing market. 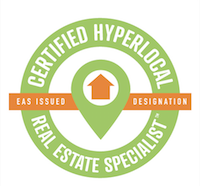 I am constantly searching out classes to take to help me broaden my real estate knowledge and help my clients.